Adding to the plethora of postseason awards that has become the norm for FGCU athletes, FGCU men’s golfers, Austin Schultz and Jake Sherwin, received awards for their hard work off the green. Schultz was named the Atlantic Sun Men’s Golf Scholar-Athlete of the Year, earning him a spot on the A-Sun All-Academic Team alongside Sherwin. 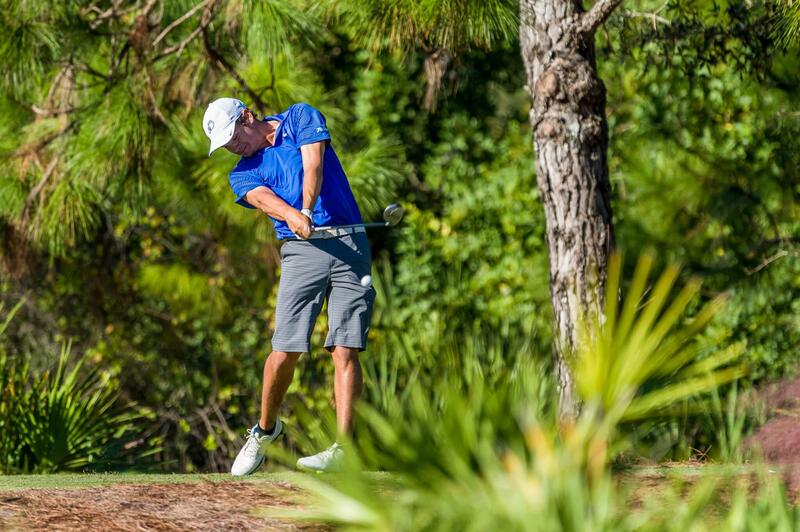 Since transferring to FGCU his junior year, Schultz has exemplified hard work on and off the course, being named to the dean’s list twice as well as leading FGCU with a 74.19 scoring average on the green this season. Schultz, who is expected to graduate with a degree in psychology, has a cumulative GPA of 3.77 not including his spring semester. Schultz, a member of the A-Sun Men’s Golf Second Team, was the runner-up at the A-Sun Championship, leading the Eagles to fifth place last month. As captain of the team, Sherwin maintained a 3.56 cumulative GPA, earning a spot on the dean’s list every semester since the fall of 2013. Sherwin, a two-time member of the A-Sun All-Academic Team, has a 74.69 career scoring average, ranking him 10th best in program history. Sherwin is also the all-time program leader in birdies, eagles and rounds, with 332 birdies, 12 eagles and 120 rounds played. Although their seasons ended last month, Sherwin and Schultz have a chance to receive an at-large bid into the upcoming NCAA tournament. The 2016 NCAA Men’s Golf Selection Show will take place at 9:30 a.m. Thursday, May 5 on the Golf Channel.